It's Short Reviews of RiffTrax Shorts, our new series where the title is almost as long as the actual reviews! We are going to take a look at every RiffTrax Short in the catalog, and write a very brief review on them all. This is going to take a while. Oh hai loose tooth! This is a story about Tommy and his sister Peggy. 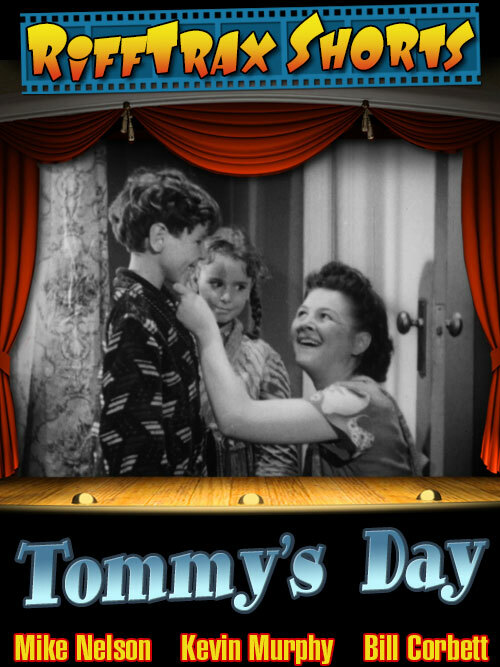 Tommy wakes up after his sister holds his nose closed until he can't breathe. When he is startled awake, he notices he has a loose tooth, and shows Peggy, who is immediately jealous. 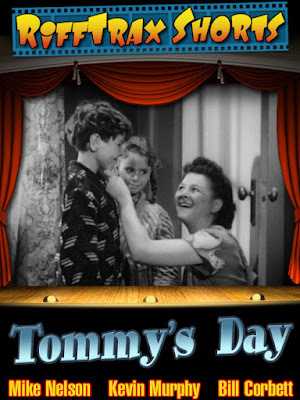 Then we get to see Tommy going about his Day, and how excited every other person in this short is about his loose tooth.